Evergreen trees do not require much fertilizer, if any at all. It is very easy to over fertilize an evergreen. Fertilizing evergreens are only required if the tree is losing its dark green color from a lack of nutrients. First of all, evergreens typically only need sunshine and water, but for normal growth, a plant also needs 17 nutrients. Hydrogen, carbon, and oxygen are pulled from the air. Nitrogen, phosphorus, potassium, magnesium, calcium, and sulfur are macronutrients pulled from the soil in large amounts. Micronutrients such as iron, zinc, molybdenum, manganese, boron, copper, cobalt, and chlorine are pulled from the soil as well, but in much smaller doses than the macronutrients. 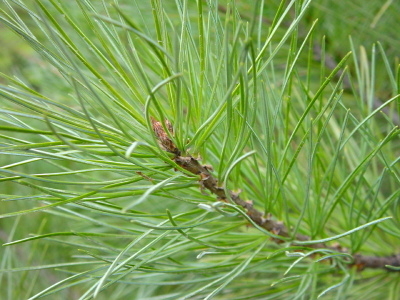 If an evergreen is having problems with limited growth, it is most likely caused by nitrogen, phosphorus, or potassium. Evergreens, like any other tree or shrub, suffering from poor growth will typically have one or more of the following symptoms: light colored or yellow leaves or needles, dieback at the tips of the branches, wilting, twig growth that is shorter than expected, and more. Poor soil conditions are typically to blame when an evergreen is suffering from poor plant growth. Factors such as poor soil aeration or moisture, improper pH levels, a nutrient toxicity or deficiency, or disease all lead to poor plant growth for evergreens and other plants. When determining whether or not to fertilize an evergreen tree, it is best to conduct a soil analysis of the area around the tree. A soil analysis will tell if the soil is lacking any nutrients or if it has an excess of any nutrients. A soil analysis will also tell the amount of organic matter within the soil, as well as the pH level of the soil. When an evergreen does require fertilizer, it is essential that the fertilizer is absorbed into the soil and then absorbed from the soil by the plant. Fertilizer should never be applied directly to a new planting hole.